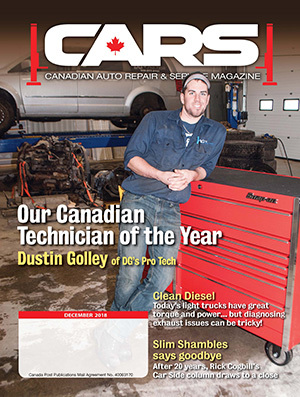 Pieces d’auto Lacroix – Lacroix Auto Parts is the 2018 Jobber of the Year. The team is seen here outside their Terrebonne, Que. location. 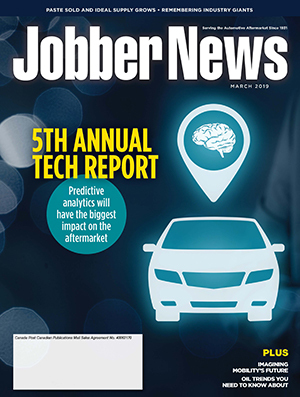 A five-store jobber run by two young brothers has been selected as the 2018 Jobber of the Year. 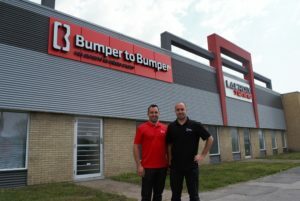 Pieces d’auto Lacroix – Lacroix Auto Parts, with five stores on the north shore of Montreal, have seen big changes since brothers Dany and Kevin Lacroix took over from their father, Sylvain, just two years ago. 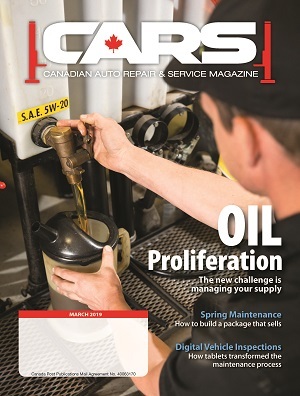 They overhauled their system so that calls made go to a dedicated team of experts in a call centre, implemented technology to make deliveries better and expanded their business to reach more customers and offer an expanded line of products. Striving to be the best is what drives the brothers. It’s what drives the whole family, too. 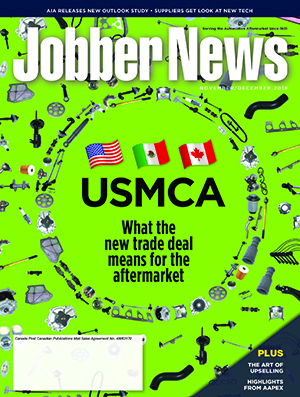 Their efforts have been noticed by customers and suppliers alike. 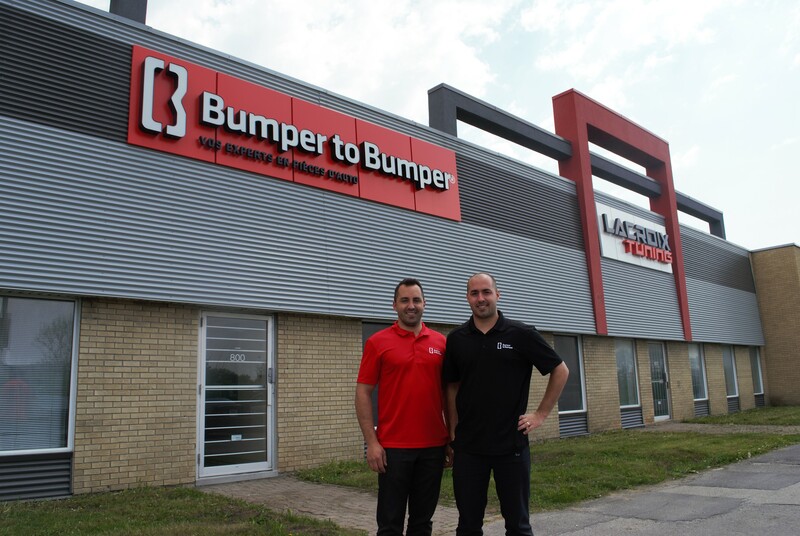 Dany (left) and Kevin Lacroix outside their warehouse in Boisbriand, Que. “Honestly, all these improvements have helped us. At the call center, we talk to the best parts advisers. 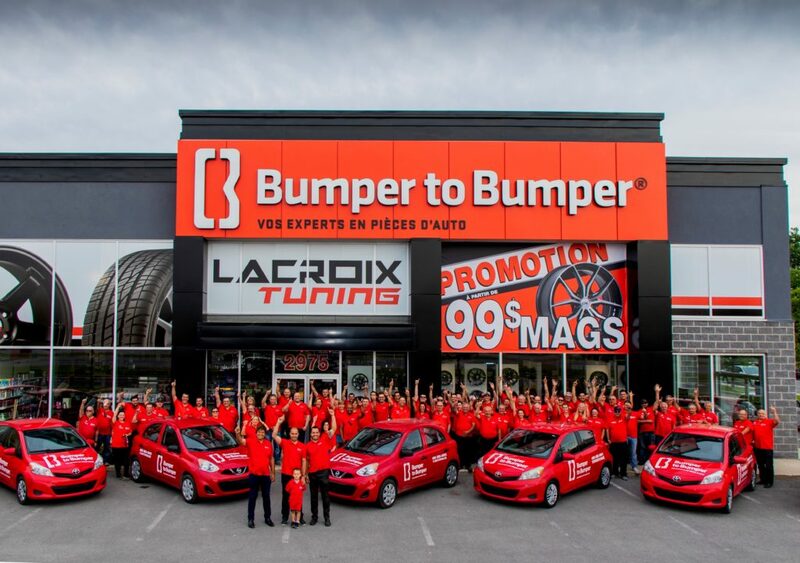 In addition, their distribution center is directly in Boisbriand. There is a lot of choice, a lot of variety and a lot of service, especially when it comes to technical assistance,” said Francis Vincent, co-owner of Les Alignements Joly in Laval, who has been a customer for more than 20 years. The way the brothers see it, if they’re not trying to be the best, what’s the point? It’s the same idea Kevin takes to the race track when he gets behind the wheel. He doesn’t race just to be there and have fun. He wants to win. And success can’t come without help along the way. They also highlighted the long-time and successful relationship the company has with Uni-Select, a partnership that has lasted more than 20 years. “We have had very good support from them,” Dany said.